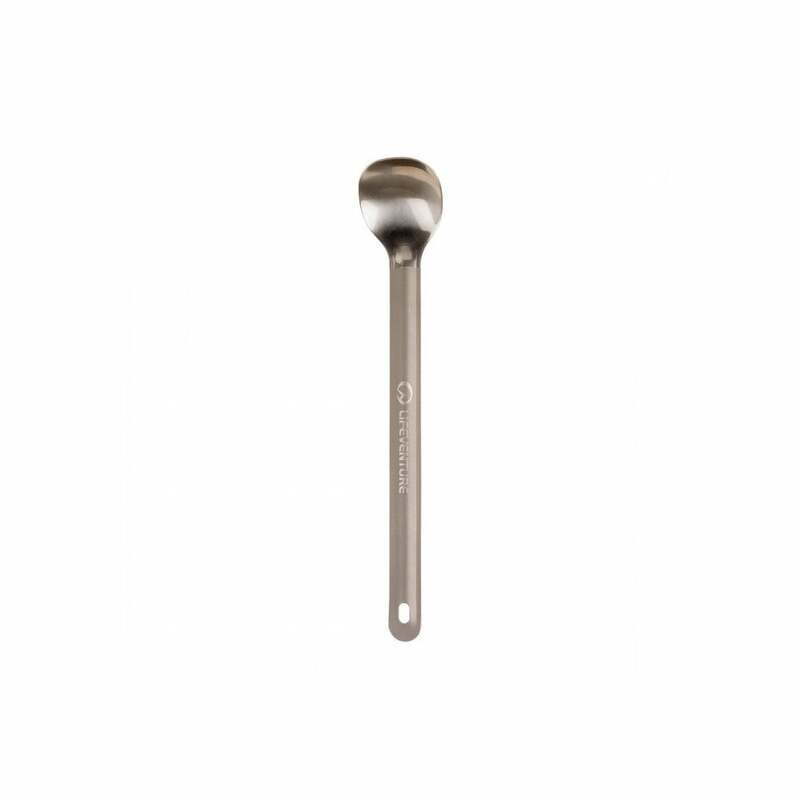 Lifeventure Long Handle Titanium Spoon is a brilliant and often overlooked piece of kit that is robust, durable and hygienic. The Lifeventure Long Handle Spoon keeps your hand away from your food and has no has no hinges or joins susceptable to collecting bacteria. Ideal to reach the corners of your hot dehydrated food when out on a multi-stage ultra marathon of trekking. A must have for ultra run, multi stage eventers and hikers. Our top choice for MdS and all your adventures to ensure risk of bacteria contamination of food is minimised!